Trident's Public Entity Guaranteed Cost Program protects towns, counties, cities, boroughs, villages, schools and special districts. A police station in Vermont found out firsthand how valuable a Trident Public Risk Solutions program can be. A man driving a farm tractor one recent summer deliberately ran over eight vehicles in the parking lot of the police station, flattening seven marked police cruisers and one personal vehicle. The vehicles constituted more than half of the fleet of sheriff’s cruisers in the rural county. Within eight days of receiving the claim, Trident had the vehicles appraised and checks mailed out for the vehicles’ owners. The Vermont police station was covered through Trident’s Public Entity Guaranteed Cost Program. The program offers “packaged” insurance coverage for towns, counties, cities, boroughs and villages as well as schools and special districts. The package can include property, liability, auto liability and physical damage, law enforcement liability, governmental professional liability and employment practices liability. The program also addresses emerging risks such as data compromise and UAV (drones). What Trident covers: Along with police cars, Trident insures other tangible property including fire trucks, ambulances, SWAT vans, snowplows, school buses, mobile crime labs, bookmobiles, courthouses, city halls, jails, libraries, gymnasiums and even fire hoses. Who Trident insures: Trident covers liability as well as property, including police officers, emergency dispatchers and firefighters while they perform their duties. Teachers, nurses and other professionals are covered, too, as they serve their communities. Other ways Trident can help: Coverage also helps provide peace of mind for mayors, city administrators, school superintendents and members of governing bodies, so that they can perform the professional duties they were elected or appointed to perform. Have trail inspectors photograph current trail conditions to document and monitor changes in terrain, especially after weather incidents. Be sure to check the pool house as well as the pool to ensure the safety of showers and walking surfaces to prevent trips and falls around the pool. To learn more: Each month, the “ Trident Is Here” series will highlight the many ways Trident serves the risk needs of the public sector. Trident – a leading provider of commercial insurance products for public entities – offers a suite of coverage solutions designed specifically for each client. Trident, through our network of agents and brokers, covers more than 2,000 municipalities, public schools, special districts and interlocal pools seeking a multi-line solution for their insurance and reinsurance programs. The insurance policies, not this descriptive article, form the contract between the insured and the insurance company. The policies contain limits, exclusions and conditions that are not listed in this article. All coverages are subject to individual underwriting judgments and to state legal and regulatory requirements. This article is provided for informational purposes only and does not constitute legal advice. 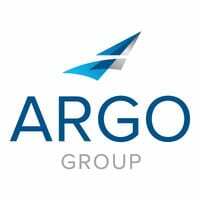 Policies for this program are issued by one or more insurance companies of Argo Group International Holdings, Ltd. Trident is a registered service mark of Argo Group International Holdings, Ltd.
Just as the internet of things is transforming the consumer experience, it’s also beginning to transform the insurance marketplace.